With the PUC scheduled to make a decision today about how much of the cost of removing the silted up and unsafe San Clemente Dam to pass on to Cal-Am ratepayers (and how much profit for Cal-Am to add on top of that), Cal-Am is once again threatening to derail the project unless they get their way. Their way, of course, meaning the ratepayers foot the bill for pretty much everything, including the years of expense and delay caused by Cal-Am’s pursuit of a dam buttressing project that everyone knew (and the PUC specifically warned) would never get a federal permit. If the PUC doesn’t go along with that (unlikely, considering the PUC’s record of subservience to utilities), then Cal-Am will contrive to delay the project long enough to endanger the grant funding that it is hoped will cover approximately $35 million of the cost. Sound familiar? It should. The last time Cal-Am pulled this stunt was in 2009, when they suddenly announced they were pulling out of the dam removal project (again threatening loss of grant money) … then rejoined again several months later. Rumor has it they extracted an agreement shielding themselves from liability that time. 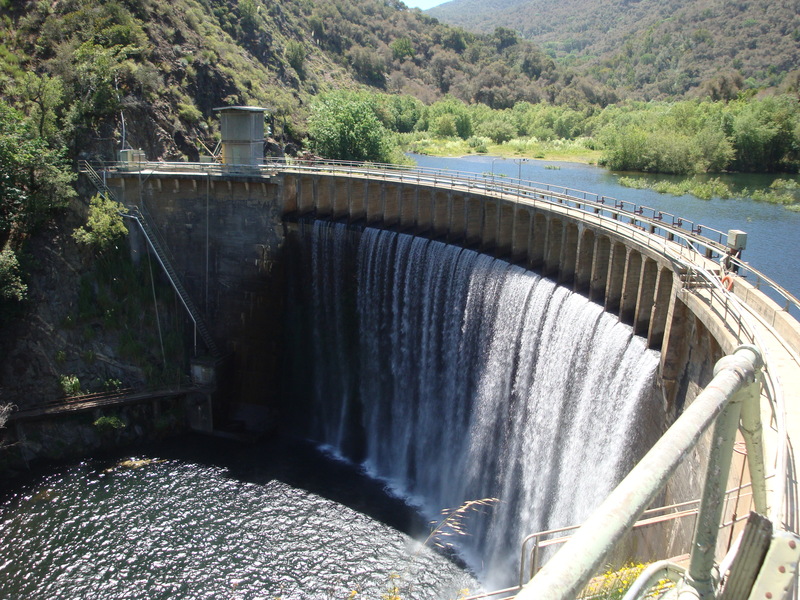 As the Division of Ratepayer Advocates has meticulously documented, Cal-Am has mismanaged the San Clemente Dam and run up costs to the point that the shareholders, rather than the ratepayers, should bear the costs (which would have been much, much lower had Cal-Am dealt with the aging dam in a reasonable and timely fashion). Don’t expect the PUC to see it that way, though. These are the same people, remember, who found the now discredited operating agreements for the Regional Desal Project reasonable. Look for Cal-Am to recover not only expenses that should never have been run up in the first place, but also a tidy percentage of profit added onto those expenses. Intransigence pays. Evening Update: Exactly as expected, the PUC voted 4-1 to give Cal-Am what they demanded. At least they won’t have any reason to further delay the project. This entry was posted on Thursday, June 21st, 2012 at 10:18 am and is filed under Carmel River, Politics, Water. You can follow any responses to this entry through the RSS 2.0 feed. You can leave a response, or trackback from your own site. Cal-Am continues its water-sucking and money-sucking actions while its PR staff and team of consultants spin a never-ending stream of bull-crap! How much more can the residents of the Peninsula take? Sorry, the facts are not as you blog here. The DRA and anti CalAm crowd claim Cal Am was negligent for not applying to adjust rates earlier and have had the capital on hand to comply with the Dam retrofit, but they did apply to adjust rates back in 1986. The DRA opposed the same thing that they now say CalAm should have done then. So we would have paid then anyways, and the “threat” that funding would be lost was true, The State Coastal Conservancy funds to go beyond merely retrofitting for earthquake safety were at risk because, as many grants, there are drop dead dates or the funds go to some other project. So what would you prefer, the grant money goes somewhere else and we end up with the cheaper buttresing project? And what about the value of the land, permanently conserved that CalAm donates the public. is that not a great deal? Opposing that Calam be allowed to recover the pre construction costs, $25 Mil, in EIR and compliance costs is not reasonable. If it were a publicly owned dam we would also pay, is the Dam were ever removed at all. Look at Matilja Dam, publicly owned, removal project hopelessly stalled. Not sure what facts you think we have wrong. We can tell you, though, that we don’t think rate adjustment applications from 1986, long before the current dam removal or dam buttressing projects were even on the drawing board, have anything to do with this post. We think ten years ago, when it became obvious that the buttressing project would not get a permit, Cal Am should have stopped spending money on it and gotten on with the dam removal project. The PUC even instructed them to do so. If they had followed that advice, the project could have been completed by now and at much lower expense. We think the PUC should have refused to make the ratepayers cover the costs (plus nearly 10% profit) Cal Am ran up pursuing the buttressing project, after the PUC had specifically warned them against it, and should only have allowed recovery for what they estimate the project would have cost if Cal Am had not created so much delay since then. You say also that Cal Am’s threat to endanger grant funds by delaying the project, if the PUC didn’t give them everything they wanted, was “true.” We don’t know whether Cal Am would have followed through on that threat or not, but we do know that if we’re going to capitulate to demands like that, we might as well drop the pretense that Cal Am is a “regulated” utility, and simply let them use their monopoly power to set whatever rates they like. We also know that we would not have “ended up with the cheaper buttressing project.” It’s been obvious for over ten years (even to the PUC) that the buttressing project would never receive the needed permits from the feds. Let us be clear. We are happy that the dam removal project is finally moving forward. It’s way overdue. We just wish that, even once, the PUC would stand up for the ratepayers and let Cal Am’s shareholders shoulder the burden of expenses that clearly were not “reasonable and prudent” to incur. Yes the legal point of the Judges decision was that Cal Am was negligent by not asking for rate adjustments in anticipation of Dam retrofitting when it eventually would become unusable and in fact an earthquake hazard. They did however request such a rate case in 1987, the DRA opposed it and it was denied. CalAm recognized that it would have to address dam safety. So the main argument that CalAm had mismanaged the Dam was the reason the judge decided to not allow CalAm to recover the preconstruction costs. And the main point being they shoud have begun collecting additional money earlier, which they did apply for. So the DRA criticized them for not doing something the DRA opposed at the time it was proposed. Really what do you think a Publicly Owned Utility would do? Say the Monterey Peninsula Water Managemnent District? Of course their costs, including the costs of rising health and pension benefits, would be borne by the ratepayers as it is in every public water agency. They would not eat the preconstruction costs, no way. The project would not happen. Just as is the case now for the Matilja Dam removal project that is in Ventura County and a project that began at about the same time. We ask that Private companies invest in green projects, the Dam removal is by far the largest environmental project in the history of the Monterey Peninsula. So is not dam removal socially responsible investing? And if the investors of CalAm were realizing a big loss on the San Clemente Project what other private dam owners will pursue removal? Would you invest in Dam removal? Is that not what we water users are being asked to do? 928 acres of prime riverfront property preserved forever, recreated from the destruction of inundation, restored as habitat for two endangered, iconic species is not a good deal for our community? We have never said anything about Cal Am being negligent by not asking for rate adjustments earlier. We also have not called here for public ownership of the water system (although, for a wide variety of reasons, including lower financing costs for projects, elimination of the incentive to maximize capital investment in order to maximize profit, and elimination of the need to provide shareholders with a profit in the first place, public ownership would almost certainly result in lower water rates). So your main arguments do not appear to be with us. We don’t see any reason to think that the project would not have happened if the water system was publicly owned. Any owner of the San Clemente Dam would have had to deal with the same safety and environmental issues. We are glad about the land being preserved and restored, but we do not think it’s a “good deal for our community,” when the community is being asked to pay expenses that should have been borne by Cal Am’s shareholders.